Chennai, Feb 8: On Friday, the Tamil Nadu government presented a deficit budget. Deputy CM and Finance Minister O Pannerselvam presented the budget in the assembly. The government announced a number of initiatives in various sectors with implementing an Rs. 2,000 crore comprehensive parking management project in Chennai city. With a deficit budget, Pannerselvam is confident of lowering the fiscal and revenue deficit in the coming financial year. 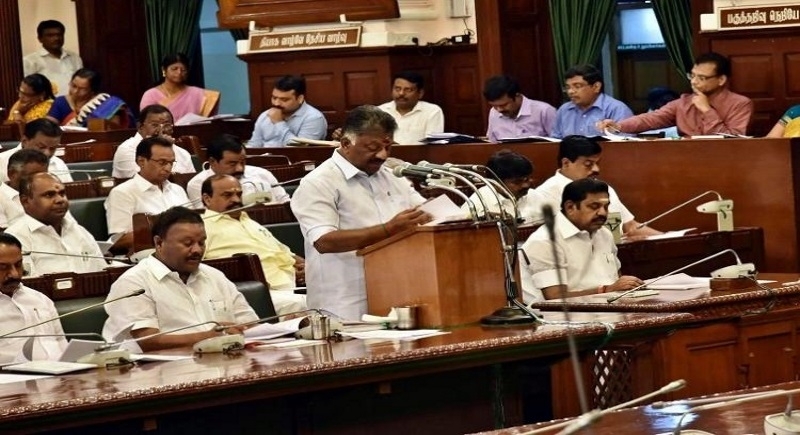 On this issue, Pannerselvam said, “There is a favorable climate for state’s economic growth and it is expected to increase the state’s own tax revenues. The GST underwent difficulties in 2017 when it was implemented but later achieved a momentum”. This is AIADMK government’s third budget. Tamil Nadu borrowed around Rs 44,000 crore in 2018-19, the state will borrow Rs 43,000 crore in 2019-20. The total debt is expected to increase to Rs 3.95 lakh crore and interest expenses are likely to be Rs 33,000 crore in the coming financial year.